Physical, intense Mississippi blues. Underrated guitar player. Born on a farm in April, 1908, and grew up in nearby Yazoo City, Mississippi. 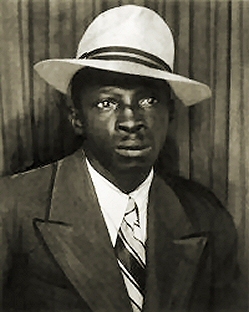 Played across the South Delta in towns like Greenwood, Indianola and Itta Bena during the 1920s and through the 1930s, sometimes with his only local rival, and stylistic “sound-a-like”, Robert Petway. Reportedly, McClennan was a very nervous and slightly built man, but he must have really rocked in those Mississippi juke joints. There’s been a lot of negative writing about McClennan in the past, but Big Tony is telling you: this is one of the great Delta artists. He’s a powerful and convincing vocalist, and his playing has both impact and nuance; this is one of the Big Guys. Lester Melrose arranged his first recording session, for Bluebird in November, 1939; and around 1940 Tommy moved to Chicago. His first recordings sold rather well, and he was back in the studio in May, 1940, and again in December the same year. In 1941 he did a session in September, and in 1942 he recorded his last songs in February. All his recordings were made in Chicago for the Bluebird label. At each recording session he cut eight songs, which makes a total output of 40 titles. McClennan is thought to have stopped performing about 1952. A decade later he died, destitute, in the Chicago ghetto; another victim of changing tastes and the retreat into alcohol abuse. As Honeyboy Edwards once described Tommy’s style in an interview: “He just play the blues. Play straight blues. There wasn’t nothin’ betwixt nothin’. Just straight go. That’s a good description of McClennan’s music: just straight go! 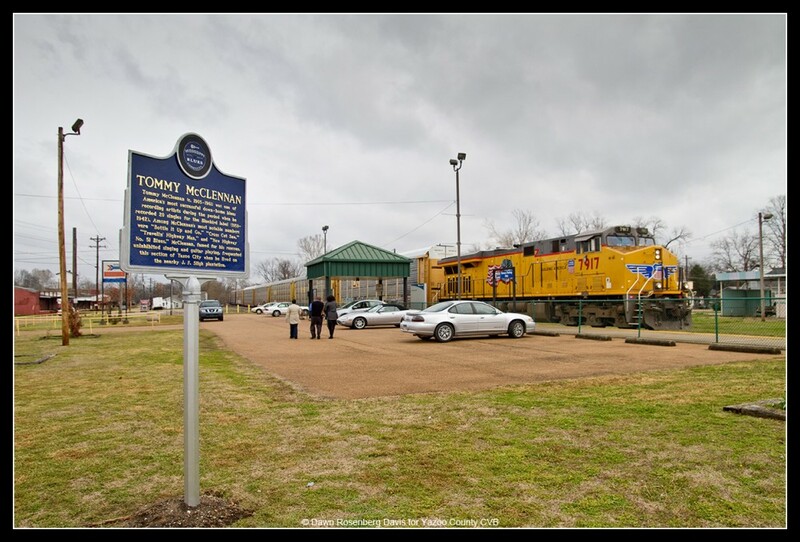 Tommy McClennan’s marker on the Mississippi Blues Trail is located between the Yazoo City Amtrak platform and P-Reaux’s Cajun Mudbugs and Shrimp, just off of Broadway in Yazoo City’s downtown.